Wednesday 14 February, Johanesburg – South Africa. 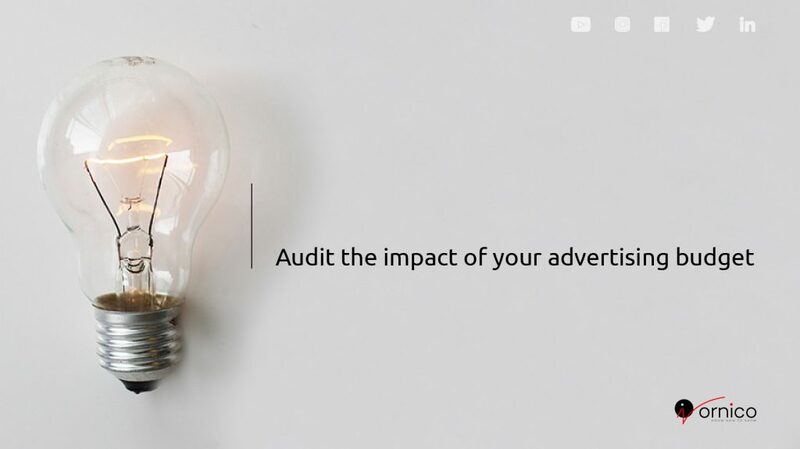 Advertisers globally are increasingly calling for independent auditing and verification of their marketing campaigns. 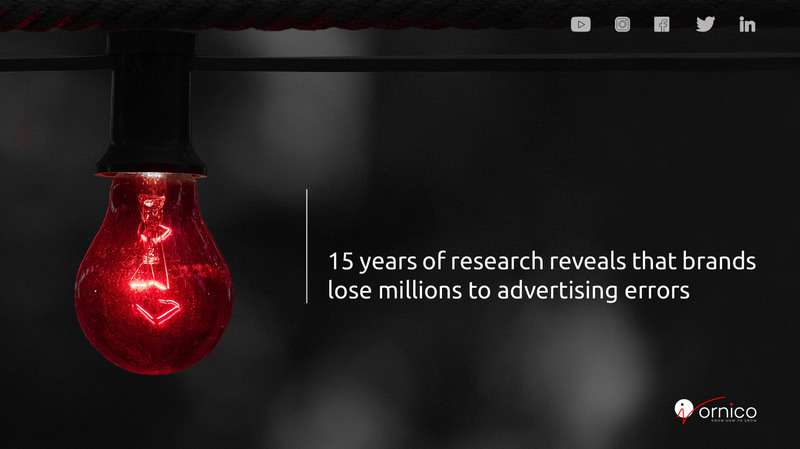 Through research by Ornico, the Brand Intelligence® company, shows an improvement in advertising schedule errer rates, millions of advertising spend are still being lost due to poor or no aurditing of campaigns. Comparing campaigns over the last 15 years Ornico’s research paints an interesting picture. Based on work done for its clients in 2002 Ornico identified a flighting error rate of up to 11% – these included advertising that aired during incorrect programmes, scheduled times, even incorrect adverts as well as adverts that were not aired at all. In 2011 recorded errors ranged between 5% – 15%, depending on specific mainstream television channels. By 2016 the average error rate recorded was around 5%, marginally improving to 4% for 2017 – once again campaign and channel dependent. This research reflects Ornico client campaigns, which includes some of South Africa’s Top 100 brand, and it could be expected that other advertisers share similar experiences. Warc, the international marketing intelligence service, sees global advertising spending rise to $574542bn for 2018 – growth being spearheaded by the FIFA World Cup and the Winter Olympics. The proliferation of media channels have certainly made it extremely difficult for brands to keep track of all their advertising spend but it becomes clear that major marketing budgets are still being wasted. According to Business Insider major advertisers appear to have reduced their digital spending in 2017 with P&G cutting back by 41% year-on-year and Unilever by 59%, demanding increased transparency, improved measurements and third-party verification. Much was made of the supposed accurate measurements which digital advertising promised. However, recent years have seen serious questions being asked about the validity of digital metrics as giants like Facebook admitted they likely overestimated average time spent viewing videos by 60% to 80% – as reported by the Wall Street Journal. Many other digital metrics have also come under scrutiny. This surely affects other platforms – especially in a country like South Africa where traditional media, particularly television and radio, still demand a big share of advertising spend. Clearly demonstrating to brands what they pay for and the resulting Return on Investment (ROI) continue to be contentious issues in the ever-evolving advertising industry. Brands are most certainly increasingly realising that they should focus on audiences rather than media. As traditional advertising revenue is dwindling due to the multitude of channels now available, it is certainly in media owners’ best interest to ensure the intended audiences are reached by their advertisers. Ornico combines smart artificial intelligence technologees to detect advertising on various media, where human analysts also ensure the independence and accuracy of its verification services. Contact Ornico’s Alexis Petje for more information: alexis@ornicogroup.co.za.